This study aimed to examine the long-term effect of prenatal exposure to the Sino-Japanese War during 1937–1945 on risk of schizophrenia in adulthood among Chinese wartime survivors. We obtained data from the Second National Sample Survey on Disability conducted in 31 provinces in 2006. We restricted our analysis to 369,469 adults born between 1931 and 1950. Schizophrenia was ascertained by psychiatrists based on the International Statistical Classification of Diseases 10th Revision. War intensity was assessed by the ratio of war-caused civilian casualties to the pre-war population. The effect of prenatal exposure to war on schizophrenia was estimated by difference-in-difference models, established by examining the variation of war across birth cohorts. In the male population, war cohorts of 1937–1946 had no significant higher odds of schizophrenia compared with the pre-war cohorts of 1931–1936. 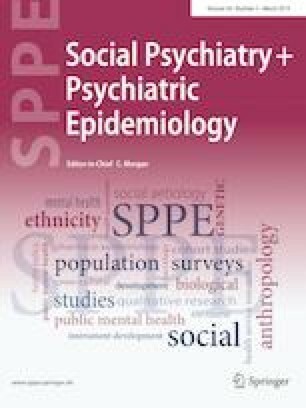 In the female population, war cohorts were 1.16 (95% CI 1.01, 1.33) times more likely than pre-war cohorts to have schizophrenia. Sensitive analyses show that our estimates of war effect on schizophrenia were robust and valid. Prenatal exposure to the Sino-Japanese War of 1937–1945 had long-run detrimental effect on risk of schizophrenia in the female adults. Further investigations are warranted to extend the enduring wartime impact on other health outcomes in China. The online version of this article ( https://doi.org/10.1007/s00127-018-1584-0) contains supplementary material, which is available to authorized users. The authors thank the provincial and municipal federations of disabled people for their support in data collection and management. The work was supported by Peking University’s Start-up Fund (No. BMU2018YJ004), the Key National Project (973) of Study on the Mechanisms of Interaction between Environment and Genetics of Birth Defects in China (Grant No. 2007CB5119001), the Key State funds for social science project (Research on Disability Prevention Measurement in China, Grant No. 09&ZD072), and the State Scholarship Fund (Grant No. 201606010254).